WK (aka WK Interact) was born in 1969 in Caen, France. He currently lives and works in New York. His work is site specific and the imagery is chosen with a concern for encounters in an urban environment or “interactions” (as the artist indicates in his pseudonym). In 2010, audio of an interview with WK discussing his work along with a slideshow of his images was featured in a New York Times article about Jonathan LeVine Gallery. WK has shown in galleries internationally including Tokyo, London, Berlin and Mexico City. 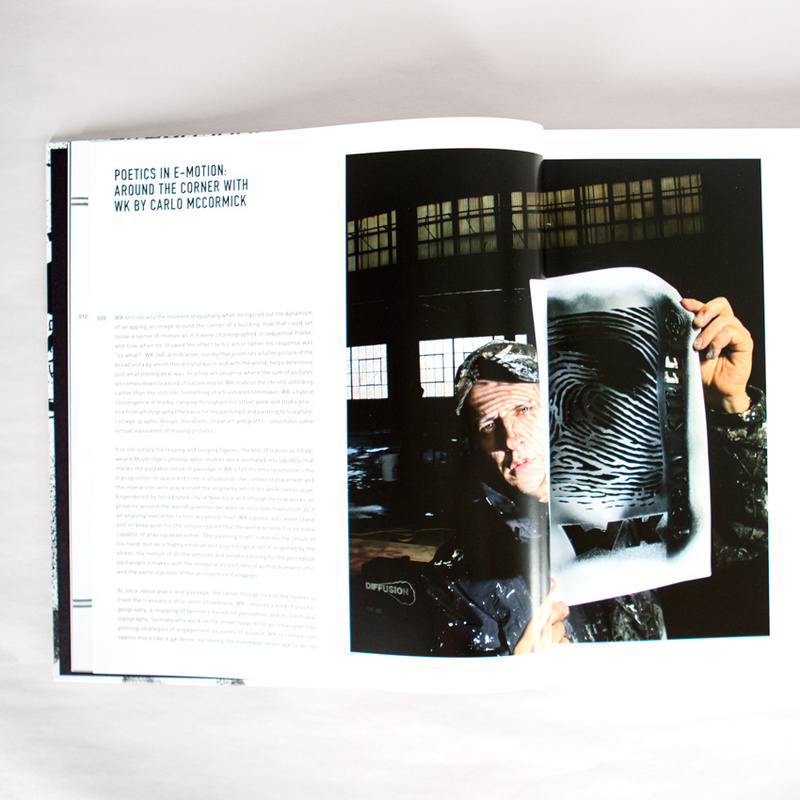 In 2005, Gestalten published his first monograph, WK Interact: Exterior-Interior Act 2. 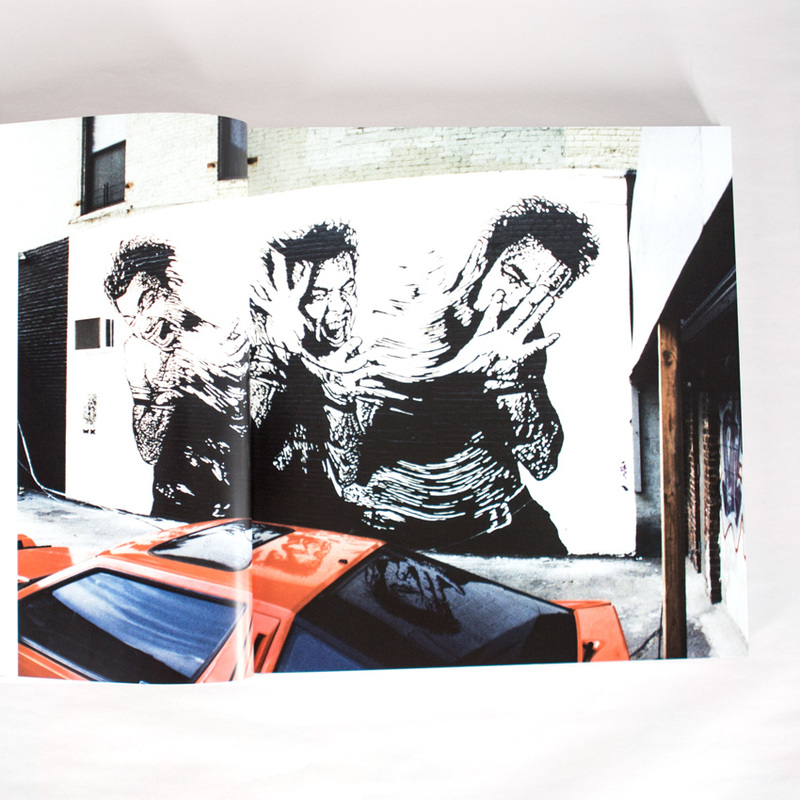 Drago published a his second book in 2009, 2.5 New York Street Life. 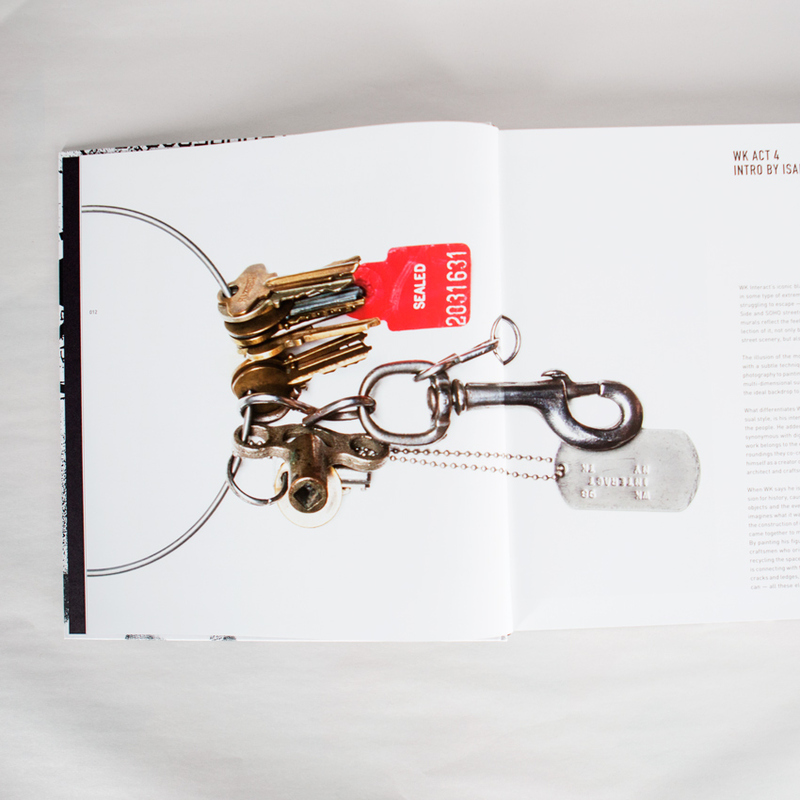 In 2013, Jonathan LeVine Gallery presented a 25 year survey exhibition of WK’s work at a pop-up location in New York and published a catalog with essays by Carlo McCormick, Patrick McNeil of Faile and Marc and Sara Schiller of Wooster Collective. 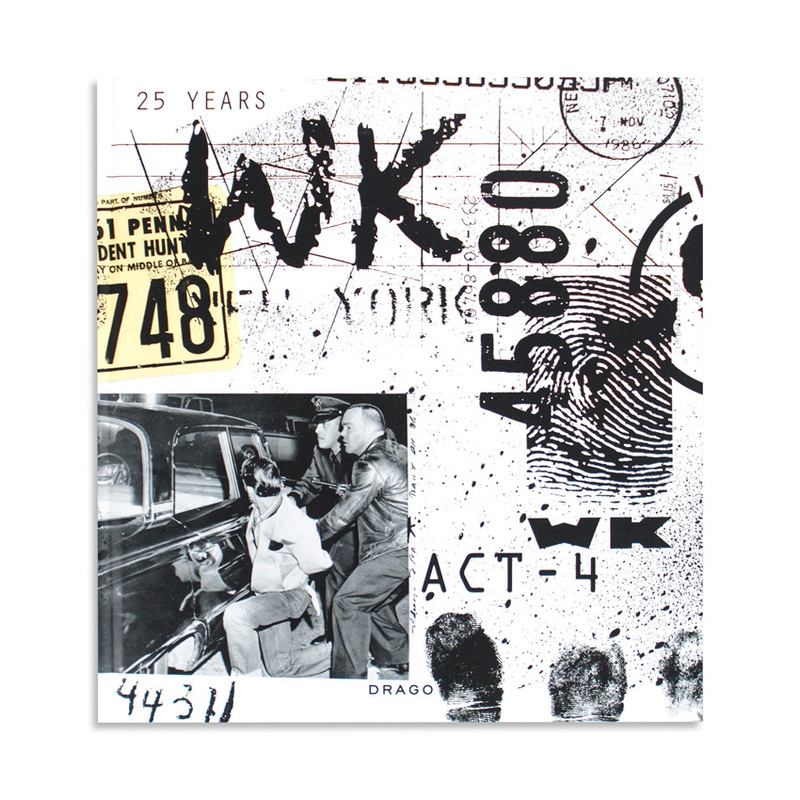 WK (aka WK Interact) was born in 1969 in Caen, France. He has lived and worked in New York since the early 1990s. WK is interested with the human body in motion, his paintings of figures frozen in a flight of movement reflects this infatuation. The artist’s unique process involves a technique of twisting an original drawing or photograph while it’s being photocopied, resulting in the monochromatic palette and streamlined moment-in-time appearance of his finished work. WK site-determines his placements by finding an appropriate location first, then his imagery is chosen specifically with a concern for encounters in an urban environment or “interactions” (as the artist indicates in his pseudonym). In the late 1990s his images began appearing on building facades in downtown Manhattan, complimenting the constant stir of bodies and the perpetual motion of contemporary urban life in the fast-paced city.